We opened in May, 2009. 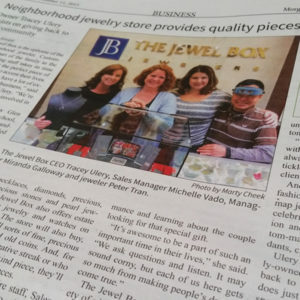 Jewel Box is a comfortable, boutique-style store nestled in the corner suite of the Downtown Professional Building. The little white chapel across the street lets you know you are in the heart of a small town; thriving, hip, artsy, and heart-felt all at once. We’re more like a Private Jewelry Salon. It’s easy to take your time as you consider the perfect engagement ring or special gift. You can even put your feet up while you wait for a quick repair. While no appointment is required, you’re always welcome to call ahead if you like. Make an afternoon or evening of it and stroll down Monterey. 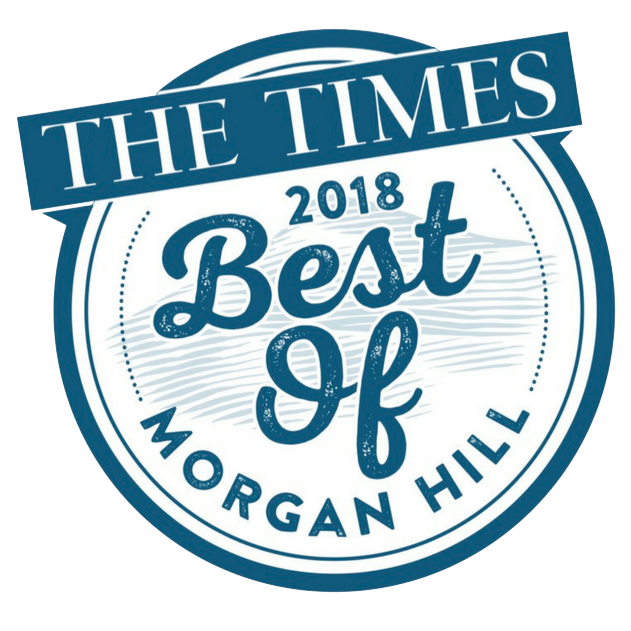 Morgan Hill has wonderful restaurants, cafes, and wine bars, all within walking distance.